The last quarter of 2011 has not been very fruitful for the consumer durables industry. First, the summer played spoilsport, then frequent price rises due to commodity inflation took a huge toll on the sales of mass products, and finally the depreciating rupee further increased prices, thereby keeping the consumers away. The prices of durables were hiked almost 4-5 times last year because of increase in raw material prices and rise in the US dollar value against rupee, which made imports costlier. • The CST rate should be reduced from 2% to 1%. CST reduction would ensure that the consumers do not have to bear price rise. • We suggest that the level of abetment must be raised to 45% to cover all the taxes and distribution margins involved in the long home appliances supply chain. • The customs duty for R&D items should be reduced to 0% to promote R&D in India. This will invite more R&D set up in India. • Customs duty relaxation should be allowed to units manufacturing energy efficient products. • Customs duty relaxation should be allowed to parts, components, spares, raw materials, supporting machines, tools and dyes for manufacturers who adopt non ODS technology in manufacturing of ozone friendly products. • SAD levy of 4% for manufacturers on imports of goods should be abolished. • Customs duty on set top boxes should be increased to 10% from the present level of 5% to encourage local manufacturing and create huge employment opportunities. • Customs duty on Magnetron (one of the most costly parts of Microwave) should be reduced to 0% from 10% basic customs duty, without IGCR condition. • 24 hour customs clearance of import and export, at all important ports in India. • Reduction in airfreight percentage for calculation of customs duty; at present, it is 20% FOB value, which should be reduced to 6%. • Online customs assistance to trade on import, export, duty rate, classification, etc. E-commerce is witnessing strong growth in India as new companies are coming up with various business models to serve different customer needs. New investments, consolidation within the industry and new entrants have made the sector more competitive. E-commerce, especially e-retail, remains in infancy despite all the positive developments in the recent years, as it is yet to reach the scale that is required to take it to the next level. Lack of internet penetration, access devices and logistical infrastructure that form the bedrock of successful e-commerce industry are holding back the industry from realising its full potential. We expect this year’s Union Budget to address crucial policy issues in order to boost investments in technology and logistics infrastructure. We are also of the view that exemption from sales tax and VAT for online retailers will give the much needed impetus to the sector, thus putting it on a high growth trajectory. The Budget should emphasise on food processing industries, especially on the development of dairy industries and dairy infrastructure. The government has declared subsidies on cold chain policies. It should instead give the benefits directly to the manufacturers or suppliers and also look at how things can be made easier for them. The government should invest in cow productivity infrastructure, genetic improvement, embryo transfer technology and should take initiatives on the same. We look forward to a more holistic approach towards Budget 2012. Not to miss, we expect it to be progressive in terms of giving thrust to innovation and lay greater emphasis on the adoption of technology in varied sectors. • The biometrics market in India is expected to grow at a CAGR of 42.4% over the period 2010-2014. This trend is expected to grow with more and more government projects being undertaken. Hence we hope that this will be a major focus area in the Union Budget 2012-2013. • We see a larger role being played out by corporates and government on energy saving and environment responsive implementation of technology. We are hopeful of the government’s increased influence in the upcoming budget. • With government funded initiatives such as Sarv Shiksha Abhiyan, the IT sector will get a chance to implement technology services to ensure highest levels of delivery in the education sector. • Apart from the education sector, this year, we also foresee amplified influx of technology in the Indian retail sector. With retail going the restructuring way, we hope that the future of the Indian retail industry gets a major impetus during the upcoming Union budget. • Another very important subject that needs the government’s attention is providing advanced healthcare facilities for people. A recent healthcare study indicates that the Indian healthcare spending itself is about $30 bn and is expected to go up to $80 bn in the next 10 years. By 2020, the Indian healthcare industry is estimated to be worth $275.6 bn. As per the research, the government's long term vision of making quality health care affordable and that at least 50% of the country's population should be covered by health insurance by 2020. Taking cue from this revelation, we expect the process to be expedited largely with the help of technology. Hence, an increased budgetary allocation will enable healthcare companies to invest in IT and improve upon their service efficiency. It is necessary to continue last year’s 1% interest rate subsidy that was provided for loans towards affordable housing. But the scope of this subsidy should be broadened to include a wider price range of budget housing to eventually benefit the end consumer, especially in the middle and lower middle income group. The interest rate subsidy should be increased to loans up to Rs 50 lakh and income tax exemption to be increased to Rs 3lakh. We expect the Goods and Services Tax (GST) to be rolled out at the earliest as it would help in reducing the number of different laws/taxes across states. Other expectations from the budget include that retailers should be exempted from service tax on renting of immovable property. Retail should be included under priority sector category to enable retailers to raise funds at reasonable costs. The major impetus expected is that the budget should enable consumption growth. 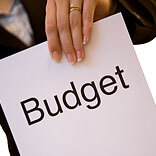 The Union Budget will be tabled on March 14 this year. Let’s hope that the expectations of various sectors are fulfilled. • The government should promote R&D in the wellness sector. Section 35 of the Income Tax Act allows weighted deduction of 200% on in-house expenses on R&D in select sectors. This Act be extended and should include all sectors. We should aim to promote India as an innovation hub. • One of the biggest challenges faced by the wellness industry is lack of skilled and trained manpower. The government and the private sector need to work in tandem to tackle manpower shortage. The National Skills Development Corporation (NSDC) can take a lead in this direction. • The government should look at reducing service tax on select wellness services. Also, customs duty on import of capital equipment by wellness players should be reduced. This will aid in easing the pressure on an already stretched curative healthcare delivery infrastructure in the country. • Rebate should be given to citizens who enroll in such activities. The entire nation would gain from healthy population in terms of enhanced productivity and lesser loss of man days, in addition to a healthy collection of taxes from the service providers in the fitness segment that will add up the numbers drastically. • In the upcoming Budget, we would like the government to announce a special package for preventive healthcare activities like weight management centres, yoga, meditation, and even community membership of fitness centres, etc. Preventive health check-ups can be included in the rebate for income tax along the lines of health insurance premiums, which qualify for tax rebate. Health insurance is nothing but transferring the risk and payment to a pool, but what we need desperately in India is “Health Assurance” – avoiding diseases, and that means, we need to encourage healthy habits and provide appealing benefits to people to take to activities that promote fitness and a healthy way of life.